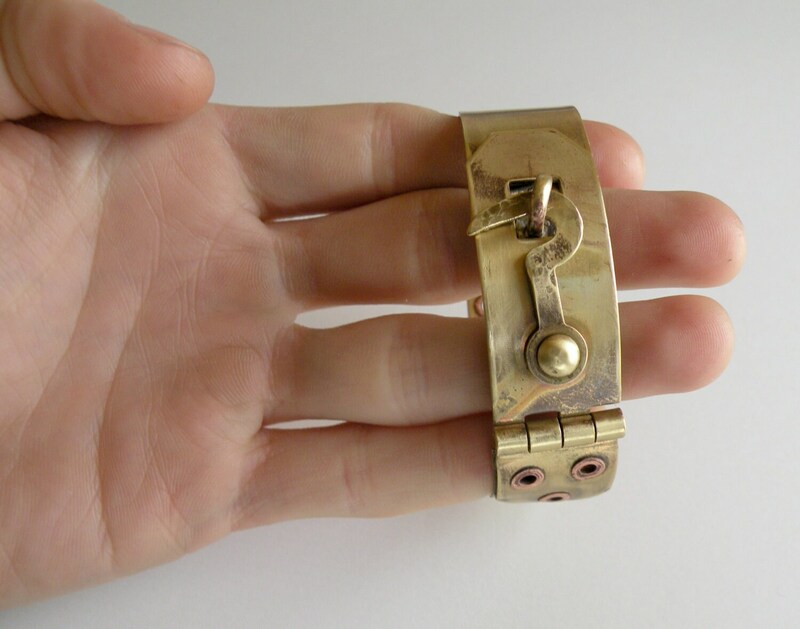 I carefully hand cut, form, and solder beautiful golden hued brass to create this hinged shackle inspired bracelet. 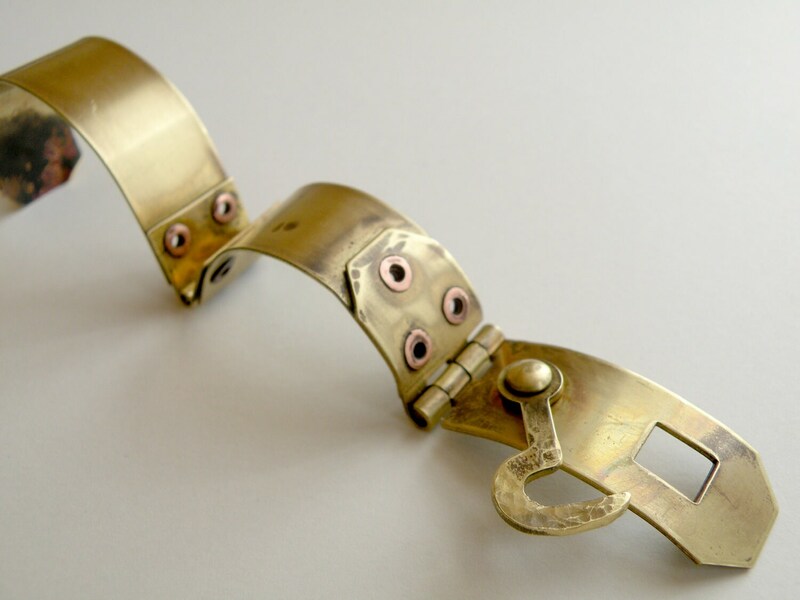 The hinges and swinging hook clasp are riveted together with copper for contrast. 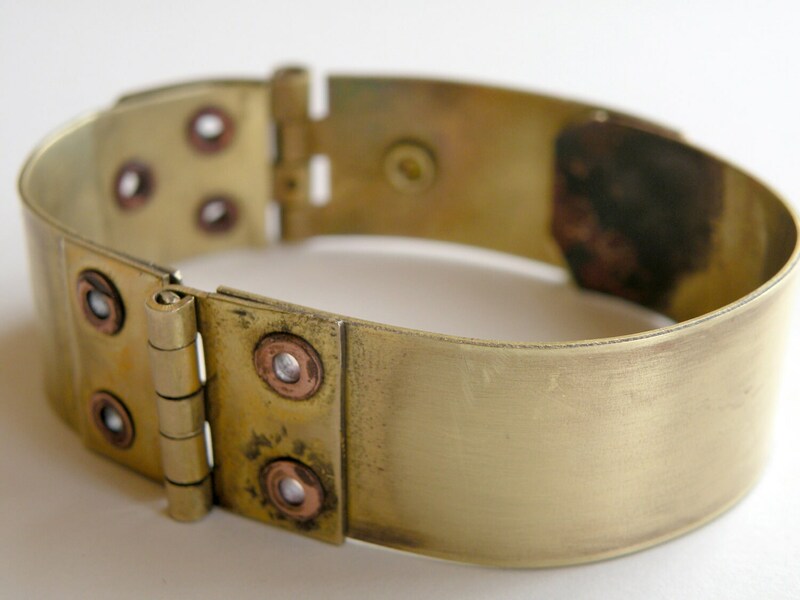 I could also use brass rivets upon request. A custom inscription is available! 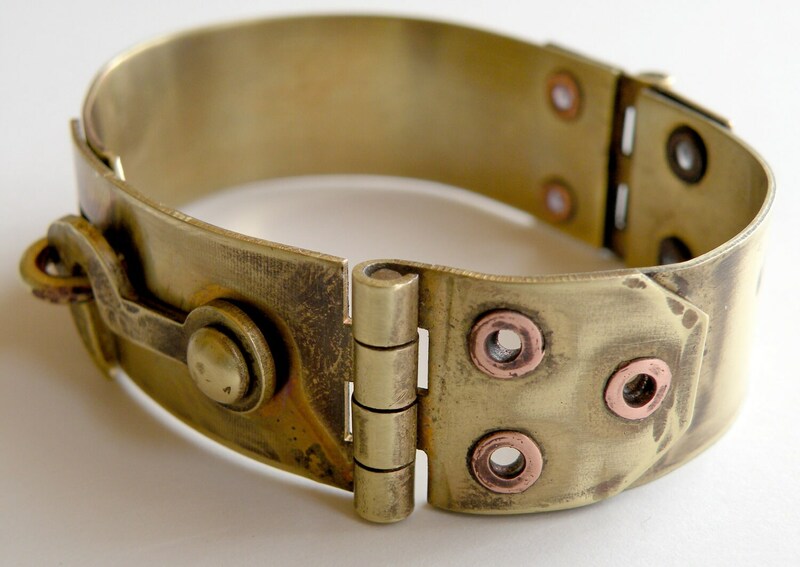 This can be on the inside or outside of the band. Let me know you'd like it to say. 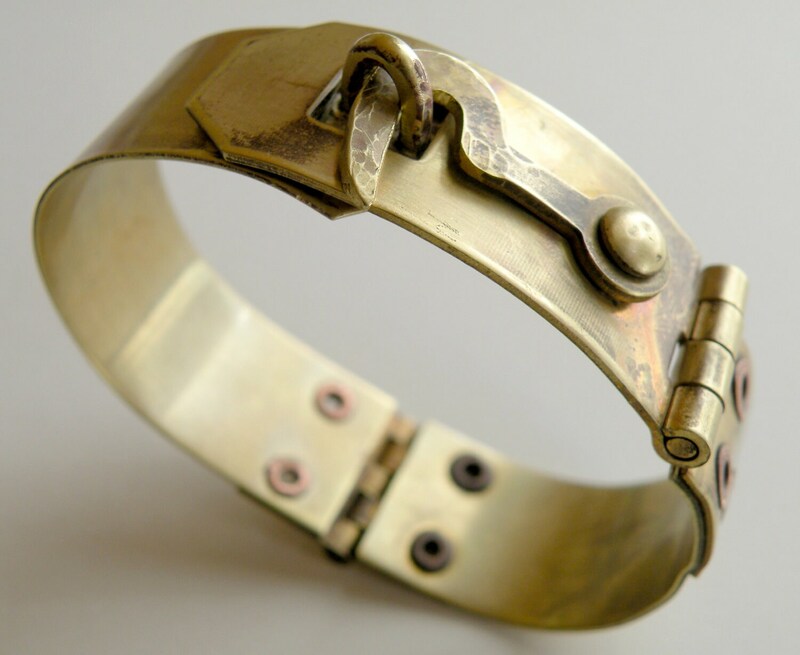 Please specify your wrist measurement.